This was a fast and fun weekend. Friday night started with the Terrell Tigers putting away the Tigers from Lancaster in baseball. Terrell begins the playoffs next Thursday night against Cleburne, in Cleburne. They play at home in game 2 on Friday night. Game 3 if needed will be Saturday with the location still to be determined. Photos from Friday nights game are on the Facebook page. Saturday we started our day at Ginger Man bar in Dallas. At noon we were off on the Urban Dare race through the streets of Dallas. Brian and I went in costume he was Gilligan, I was the Skipper. We didn't win the race, but it was a blast. We finished 19th out of 120 or so teams. I think we ended up covering over 8 miles on foot. 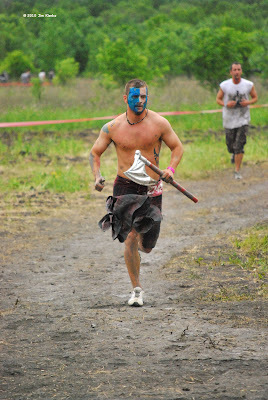 Sunday we traveled over to Forney for pictures of the Warrior Dash race. It was an awesome day. All of the talk and worries leading up to the week were forgotten. The organizers put on a great show. If you have the chance to compete in one of the Warrior Dash races, GO. You will have a great time. Brightroom photography was the official photographer of the event. Check their site for your pictures. Eighty photos from the Dash have been uploaded to my Facebook page, click the link to the right. Red Frog Events will be back in the Dallas area for the Great Urban Race on October 2, 2010. 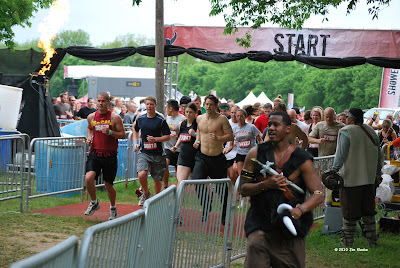 Thats a race I will compete in.